Key Quest Escape Room is run through the Laser Quest business in the Quail Plaza Shopping Center. In preparation for a Bachelorette weekend, I scoured the Oklahoma City area for fun ideas that the bridal party would enjoy. As soon as I stumbled upon the Key Quest Escape Room, I knew this was a great match. The bride has a degree in Criminology and one of their scenarios, The Cellar, is centered around a story about a serial killer. What a match! To make sure everything ran smoothly, I made a reservation in advance for the scenario we wanted. We arrived 20 minutes prior to our start time for instructions. After paying the entrance fee, we were instructed to put all of our belongings into a locked storage bin, securely monitored by staff. We were handed paper blindfolds to put on, and when we were ready, we were escorted into the room. Before removing the blindfolds, we listened to a couple minutes of build up, which set the stage and task while still giving us a few chuckles. When it came time to remove our blindfolds, the 45-minute clock started and we were off. The room is fairly difficult given the time constraints. We are a smart bunch of folks, most of which had never participated in an escape room before. When our time was up, the staffer responsible for maintaining the room allowed us a few more minutes to keep up the struggle, but alas, we were outwitted by the puzzles. The staffer walked us through the solution and suddenly it all seems so obvious. Within 2 hours of leaving, I received several photos via email of our group. The staff offered to take our picture holding signs and emailed them along quickly. Overall, we all enjoyed the experience. It is clear that the primary business is the laser tag set-up, but the attention to detail and interesting props in the escape room was impressive. I love puzzles and being able to use critical thinking skills and Key Quest was certainly a fun challenge! 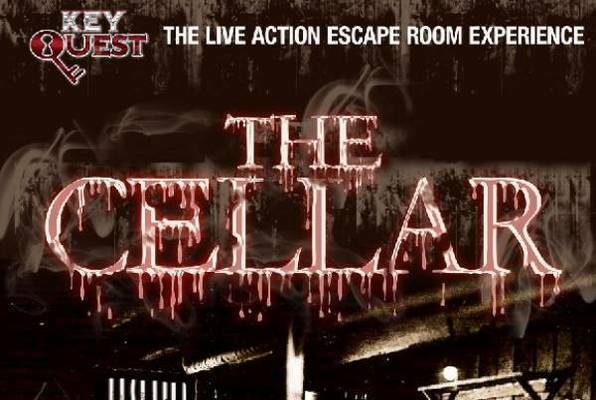 I have done 2 of their escape rooms and even the "easy" room gave me a run for my money! I was worried I would feel "trapped" but you get so wrapped up in solving the clues that you forget you're locked in a little room! It's a great way to spend an hour with your family or friends! Highly recommended!